Grandma's Gallstones & Yucky Liver Cleanse Recipe - It Works! Liver Cleanse Recipe - It Works! Are you suffering from gallstones? 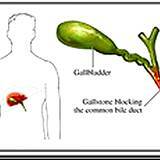 Most people don't even know they have gallstones until it becomes a serious health issue. Use these simple home remedies to cleanse your liver and gall bladder. The liver is responsible for detoxifying poisons, including the natural toxins in food as well as synthetic chemical substances in food, water and air. 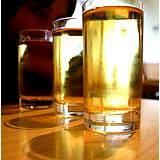 It helps regulate blood fat and sugar levels, and is essential to virtually every aspect of metabolism. The liver has been called the third most important organ, after the brain and the heart. With such a simple home remedy to detoxify the liver and gall bladder why risk your health? It's not always easy to know when one's liver or gall bladder is not functioning up to par. Of course the best medicine to keep our health up to par is prevention. There's no better way to prevent yourself from suffering from gall bladder and liver stress than rejuvenating your body with a seasonal cleansing flush. Lemon is one of the best foods for the liver. 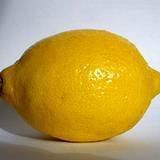 You can make your own liver flush by combining half lemon or orange juice with half water to make a total of eight ounces of liquid. Add a tablespoon of olive oil and one or two cloves of garlic. Blend all ingredients. Take this as a tonic every morning. Click here to read all the amazing benefits of olive oil. To really "spring clean," try this liver - Gallbladder Flush for better utilization of fats. 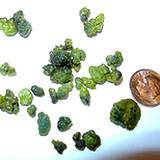 Many people report releasing as many as 150 gallstones (without knowing they had any!). Complexions, dispositions, and energy level often improve after this cleanse. Do you know that research has discovered that gallstones are linked to constipation and obesity? Take 2- 8 oz. Glass of Fresh Unsweetened Apple Juice every two hours until 6 p.m.
At bedtime take 2- 4 ounces of pure virgin olive oil mixed with 2 ounces of fresh natural lemon juice (from fresh squeezed lemons). Mix together by pouring from one glass to another at least twenty times before drinking. Drink this mix with a straw to cut the taste, if necessary. Repeat again ½ hour later. Go to bed. Within 24 hours you should expel stones, mucous, or sludge through the bowel. This treatment should be repeated within 14 days for best results. Yeah, these recipes are pretty yucky tasting and hard to get down, but it's still easier and much safer than getting those awful operations for gallstones or going through liver disease!